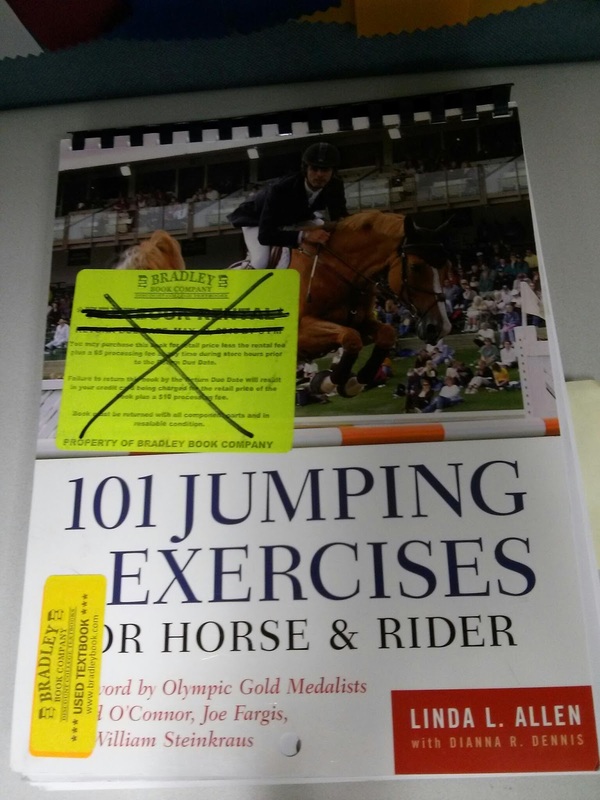 I got a really cool new book from Amazon – 101 Jumping Exercises. It seems really cool and I think it’s going to be super helpful. Best of all, the first 30 exercises are flat/ground poles, which goes great with the dressage focus Rob and I have had lately. This exercise looks very easy, but the author emphasizes that these exercises are meant to be perfected. With that thought, I think I could work on this one exercise forever! Luckily, Rob was in a really good mood last night. We started by practicing her ToF, which were awesome. 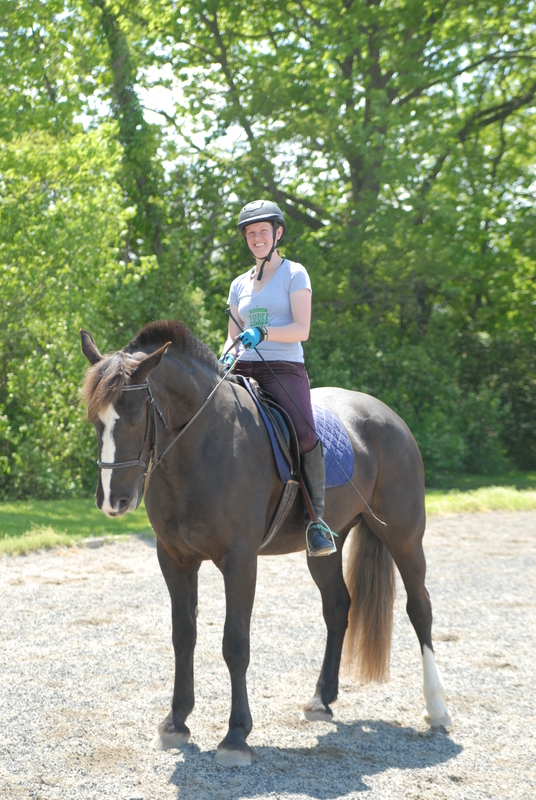 Then we trotted, while I tried to fix my equitation. I think I’m starting to getting the no-arched-back/”sit in an easy chair” back, but I still can’t keep my legs back, my thighs rotated, or my heals out. Ugh. Next we worked on leg yield for a little bit. She hasn’t gotten it yet, but I think it’s getting better. We did a bit of canter, again just focusing on my own equitation – legs correct, sitting in an easy chair, don’t lean forward in the turns. 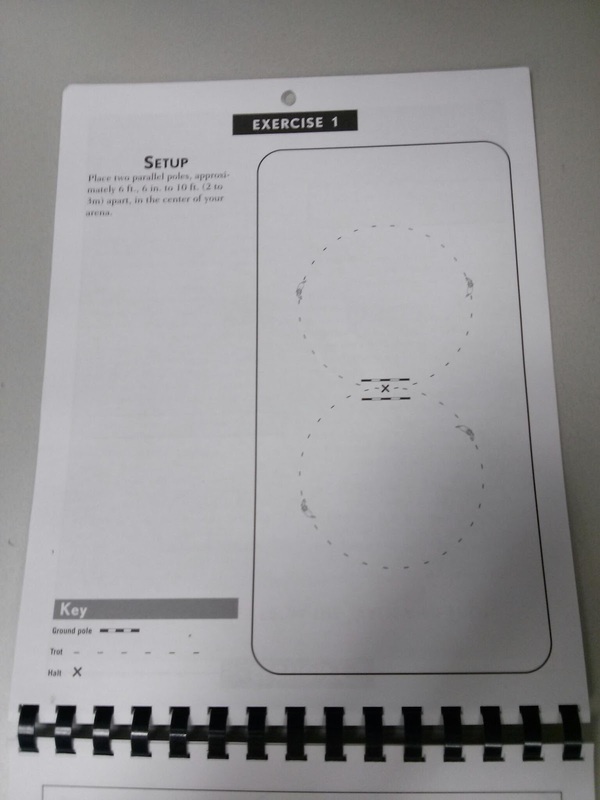 Finally, we moved on to Exercise 1. 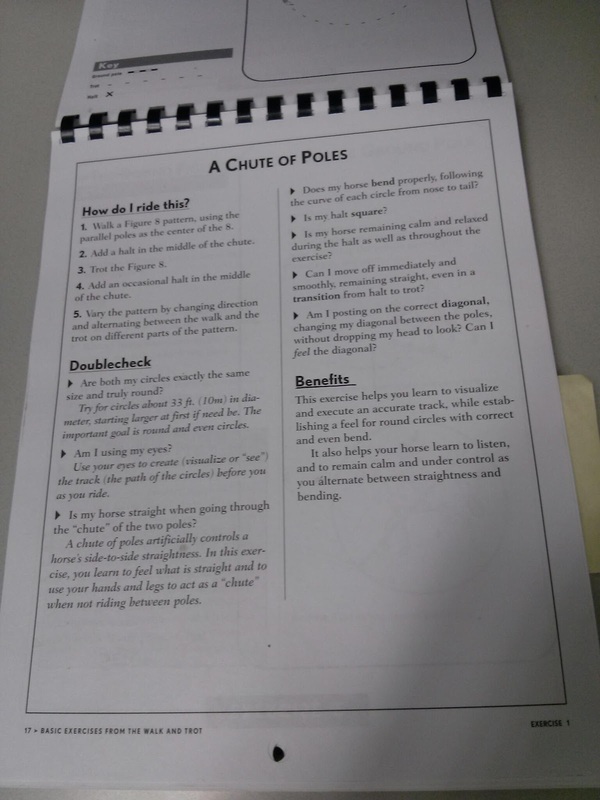 First we walked through it, focusing on perfect circles and nice halts in the middle of the poles. I tried to give her a nice half halt before each real halt, which seemed to work alright. She definitely still needs work on her downward transitions. Next we did the exercise at a trot > halt. I was happy with this, especially since we’ve never done any halt > trot or trot > halt work. Again, the transitions were a bit slow and of course included some walking, but I did feel like she picked up what I wanted fairly quickly. When I felt like we had made progress, I moved on to the canter. The exercise didn’t call for this, but I was feeling ambitious! My strategy was to trot into the poles and canter as I left them, making nice simple changes. Holy cow, this woman is amazing. She didn’t miss any leads! So ya, I like this exercise, I like this book, I love my mare.